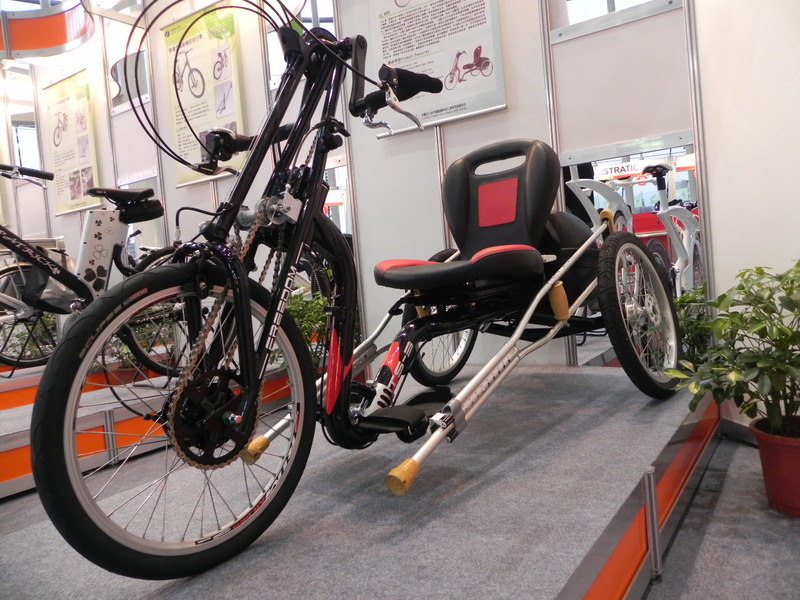 Finding some time to look through the folder of photos taken at this year’s Taipei Show here’s a corner of the IBDC display area that might be of interest to some readers. 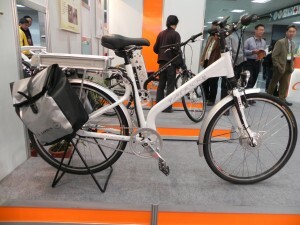 The Cycling & Health Tech Industry R&D Center (CHC) conducts the International Bicycle Design Competition each year and had these on public view. 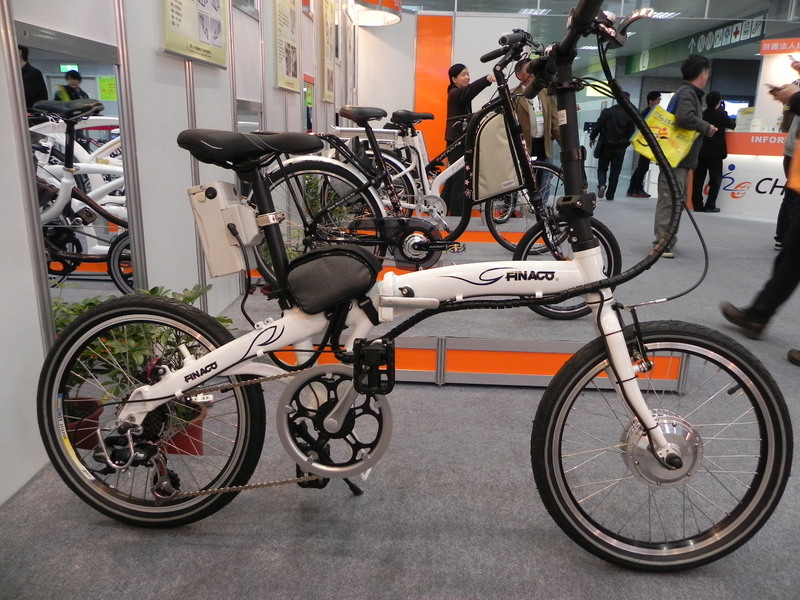 A standard folding bike design with an electric assist aspect, 24V-9AH. 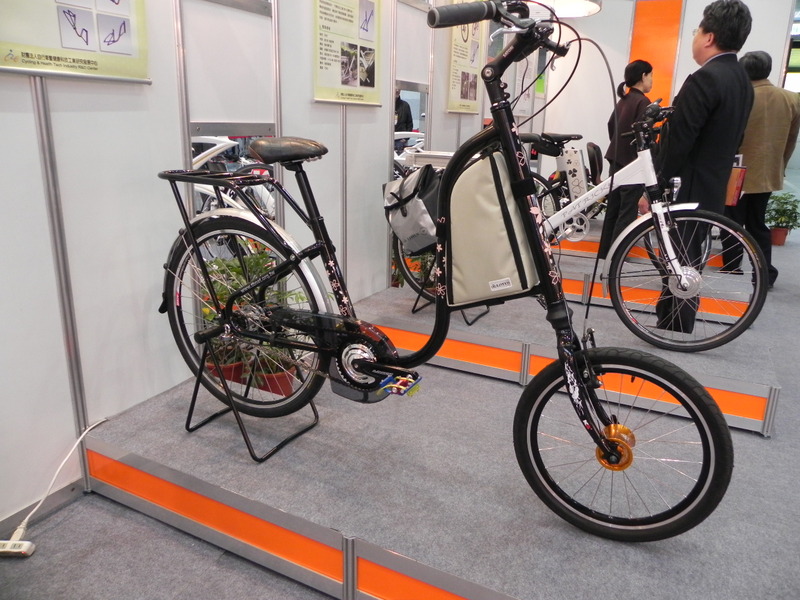 It has 20″ wheels, weighs 19kg. 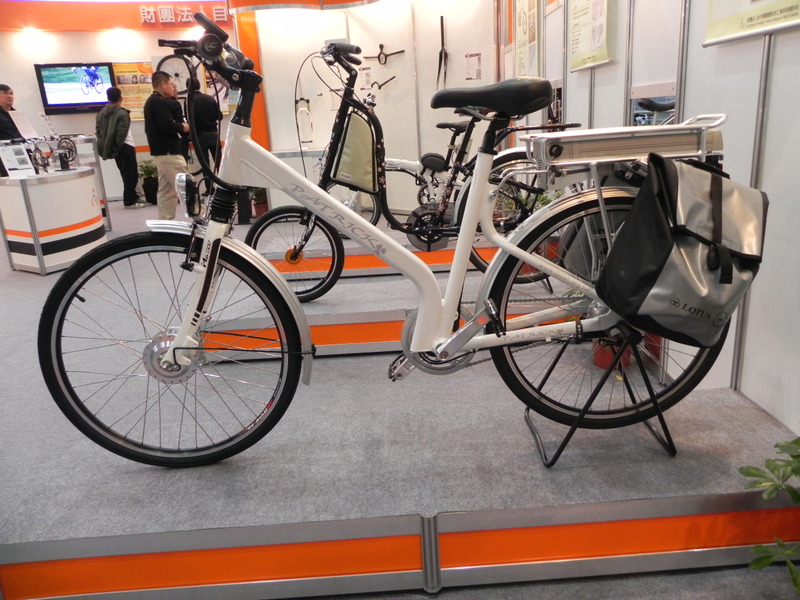 A non-electric step-through for ladies making short trips in the city. 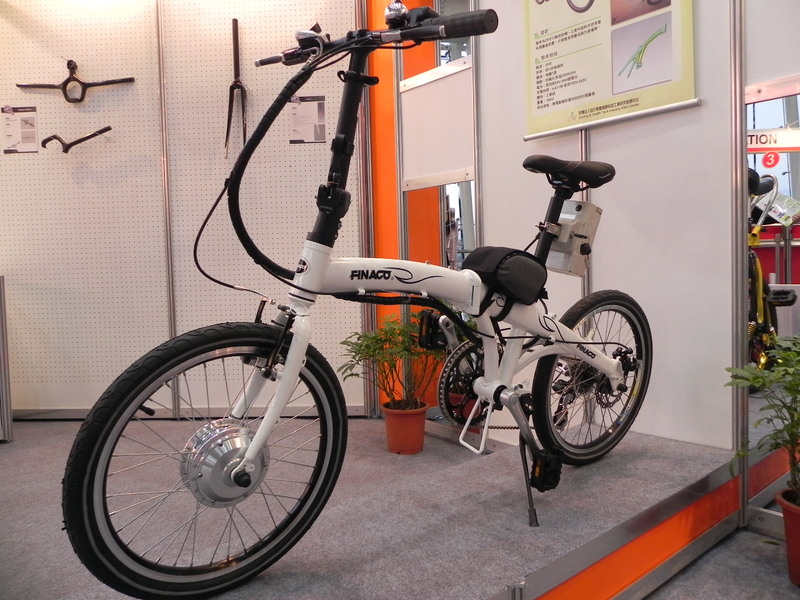 This was a graduation project of students from the National Taiwan University of Science and Technology’s Dept of Industrial Design. Weighing 12kg, it features a 3 speed hub, a 26″ rear wheel and 20″ front wheel. It’s the lightest of the models displayed by a long way. For me, just that would make the difference. It’s not foldable or have electric assist which is made up for by the weight savings. But then I am thinking of an urban area without anything over 1% slope. 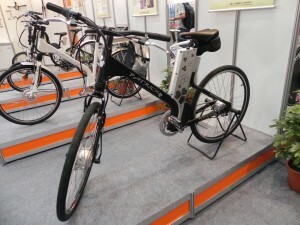 If you have that then electric motors take the slope away. The “Patrick” with battery on the back is not as elegant as the version below. Patrick with battery in the seat “tube”. Put the rack back on with the saddlebags and you have a even more practical 7 speed hub, 36V-9AH electric assist with 4-6 hrs of battery life under normal operating conditions. It’s 22kg though. 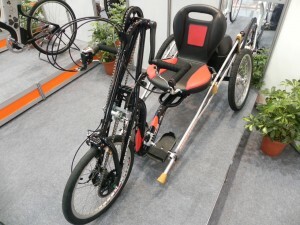 An interesting solution to provide disabled mobility. Hand-crank drive with low step-through aspect. Other important features are adjustable seat base and footrest angle to a 15° angle. 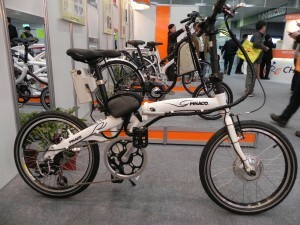 It has an 8 speed derailleur with a reverse gear, a quick-release trunk and brake-lock function. 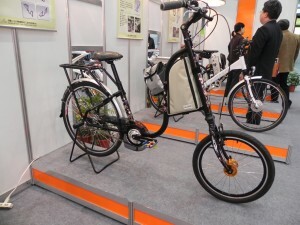 It will take a bit for this to outdo the 4-wheel electric scooters that have been around for a while however. This has been thought of before, no less than in India as captured in this photo by Alexander Gubin, although maybe not as much detail. If you go to that link you’ll see the tricycle’s crank is part of a rear wheel drive train. It’s a creative solution for the situation. 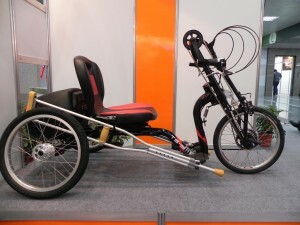 Mike Augspurger has also produced a hand-crank solution to increase mobility options for paraplegics.